Much has been made of the 40 classic Chevrolet Corvettes, among them a rare 1967 L89 model, that will be offered at no reserve this weekend. Much has been made of the 40 classic Chevrolet Corvettes, among them a rare 1967 L89 model, that will be offered at no reserve this weekend at the Leake Auction Company’s sale in Oklahoma City. But there’s much more to the auction than those 40 sports cars. So much more that the sale was expanded to three days, starting Friday and running through Sunday. Leake announced it had secured the Falbo cars in mid-December, and then last month revealed that while inspecting and verifying those Corvettes, Roy Sinor of the National Corvette Restorers Society had confirmed that one of those cars — a maroon and white convertible — was indeed one of only 16 example of the 1967 L89. Sevenoaks admitted that he didn’t know what the caller was talking about, and then heard the story of how a particular Diamond Jubilee Edition 1978 Lincoln Continental Mark V was being moved into a warehouse when the elevator in which it was riding got stuck and wouldn’t budge, so the car stayed trapped in there for several years. “You have the elevator Lincoln!” the caller told Sevenoaks. 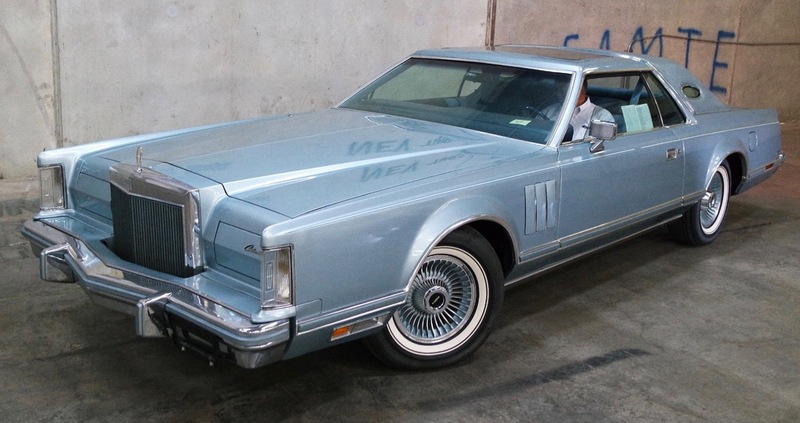 As it turns out, the elevator Lincoln is one of 11 1961 through 1989 low-mileage Lincolns in the Falbo collection. “And there’s a similar group of Cadillacs,” Sevenoaks told Classic Car News, and he started counting them. “Twenty-four of them,” he said. 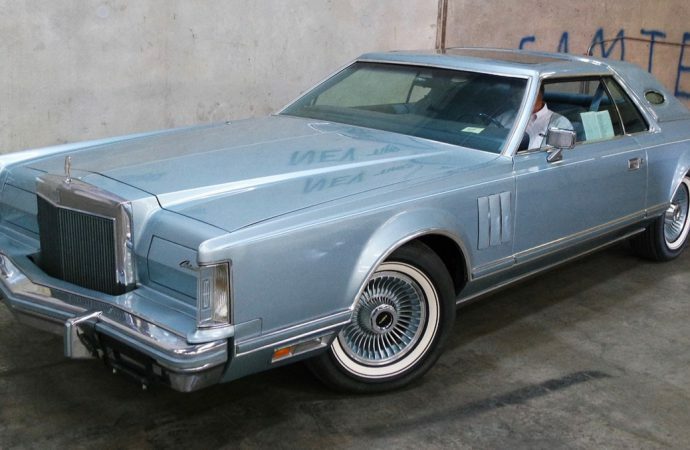 Among the Cadillacs are an 11,000-mile 1966 Eldorado; an ’85 DeVille with 5,000 miles; a ’71 Del Cavellero Eldorado, which features an exotic grille and landau-style roof; a ’74 Eldorado El Classico, again with special trim; a ’70 DeVille convertible that Sevenoaks said is much like his own favorite car, the ’70 DeVille convertible he bought when he first could afford such a vehicle (he still has and drives it); and a 1956 DeVille in pink and black that has an plaque on the dashboard that says the car was custom built for Elvis Presley. However, Sevenoaks said, Leake has not been able to confirm that 6,700-mile car’s history and thus it may or may not have been owned by the rock ’n’ roll legend who owned many Cadillacs. 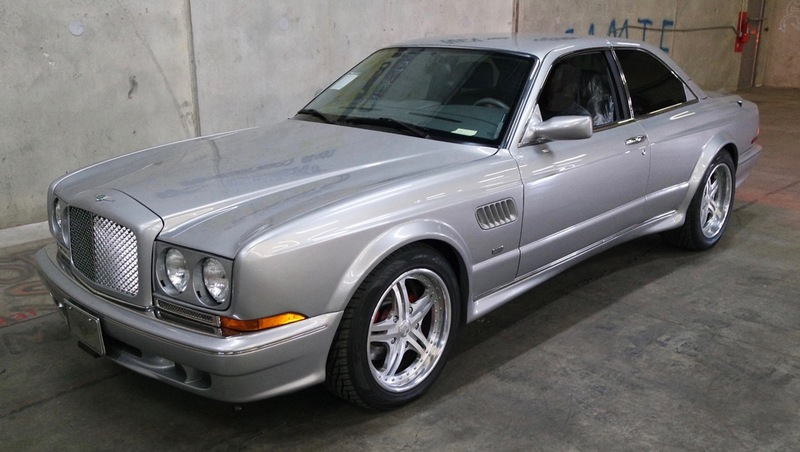 Also being offered in the Oklahoma City sale are a 2002 Bentley Continental R Le Mans series coupe and one of the 2008 Funkmaster Flex Edition Ford Expeditions. Plus a 1970 Pontiac GTO Ram Air III convertible, 1970 and 1978 Pontiac Trans Am coupes, 1971 Chevrolet Chevelle SS convertible, 1969 Plymouth Road Runner, 1932 Ford roadster and many more. “I think it’s going to be a lot of fun,” Sevenoaks said of the sale. He added that despite featuring so many Corvettes and Lincolns and Caddys, he’s not really worried about flooding the classic car market. “We saw the market retrenching in Arizona,” he said.